Erynne Lee is barely a pro, but she's already a pro winner. Erynne - a k a "Ernie" - graduated from UCLA just a few months ago. On Wednesday in Arizona, she earned her first victory as a professional golfer, winning Cactus Tour Event No. 25 at Las Colinas. Lee did it in style, too, shooting a final-round 66. The 66 included seven birdies. Lee opened with birdies on four of her first five holes, then closed it out with birdies on her final two holes. She also birdied four of the five par-5 holes in the round. That 66 got Erynne in at 14-under 202, good for a three-shot victory. You can view the final scores here. Erynne is originally from Washington. You might remember that she was the very first significant casualty of the new groove rules introduced a few years back when she was DQ'd from a U.S. Women's Open qualifier - after winning it - at age 16 back in 2010. Oops! Mistakes happen. It's how you bounce back from them that matters. My life took a pause while the rest of the world continued. Like a robot but emotionally distraught, I would wake up, go to class, practice, study and lock myself in my dorm room. I sank into a mire of a pathetic routine. It took me a while to get back on my feet, both emotionally and mentally, in school and out on the golf course. Through the relentless encouragement and perseverance of my support group and my 'just keep swimming' attitude, I started living in the present, appreciating the little things that we so often take for granted and eventually enjoying my time at UCLA. 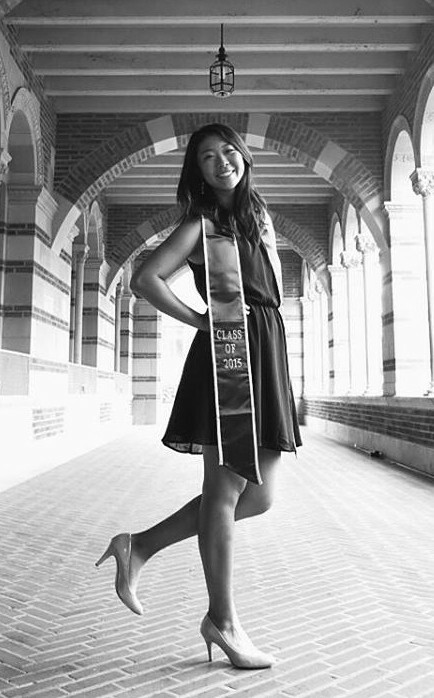 Despite that tragedy, Erynne pulled herself together and managed to have a terrific freshman year on the UCLA golf team. She recorded her first NCAA victory and posted six Top 10 finishes. More of the same followed: one win and seven Top 10s as a sophomore; one win and eight Top 10s as a junior. And in her recently completed senior season, another win plus six Top 10s. Along the way Erynne played her way into the 2008 and 2011 U.S. Women's Opens, and was a member of Team USA at the 2014 Curtis Cup.